We install all types of operating systems on computers: XP, Vista, Windows 7 or 8, Mac OS X and one of the few computer repair shops in Miami installing Linux-Ubuntu. 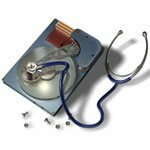 Installing your operating system is more than just inserting a disk or USB like many people think. We do things right so your computer works right. We are your complete service computer repair center. Any brand Dell, HP, Lenovo, Toshiba, Sony, Acer, Gateway, Compaq, Apple etc. We got you covered. Crack! Do Not Worry, will fix it. We fix all types of cell phones iPhone 4, 4s, 5, 5c, 5s, 6, 6s, 6 plus, 6s plus Samsung Galaxy S3, S4, S5, S6 and most other popular cell phone brands. Whether you have a broken screen, bad lcd, dead home button, stuck power button or a liquid spill, bring it in to our Miami repair center. We have the tools and expertise to fix it right. You don’t need an appointment and most repairs are done in less than 60 minutes. It happens and when it does, bring it in we will put it back to “Like New”. 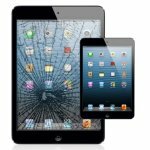 We will repair your Apple iPad, iPad Mini, iPad Air, Samsung Galaxy and many other popular brands of tablets. We can fix any problem on your iPad. 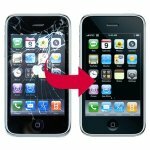 Glass repair, home button replacement, power and volume buttons, power connector or even a battery change. Bring it in for a quick estimate and a quick fix. Our repair center is centrally located in the heart of Miami just off the Palmetto and Bird Road. Over time computers get slow due to many factors. We can assess your unit and get it back to full speed. Many customers try to do this themselves and generally make their computer even slower. 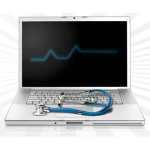 Most free tune up software on the web are malware in disguise. We are the experts and will make your computer perform to 100% of it’s original speed. We can upgrade your computer to perform even faster than it’s original speed. Visit our Miami service center for more info. This is the #1 problem with Windows based computers. 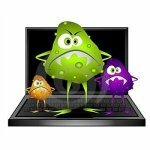 We will clear up all those pesky pop-ups, spyware, malware and junkware that are slowing down your laptop or desktop. Even with a properly installed anti virus you can still get your computer infected by clicking one wrong link or opening one wrong email. We know how frustrating it can be. We also offer Linux installations which will make your computer invisible to viruses. 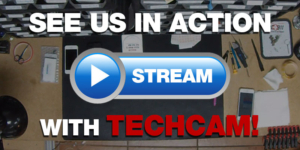 Stop by our tech shop in Miami for a demo. This is one of our most common repairs on laptops, ultrabooks and MacBooks. As they get thinner and lighter they get more fragile. So don’t go buy a new laptop just yet. Let us give you a free estimate. 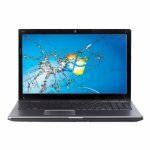 We will fix your broken laptop screen for less than you think. Any size, any brand, touch screen, LCD or LED we will replace it like new at our tech shop in Miami. We also repair keyboards, touch pad, dead battery, power jack, wireless connections we will put your computer back in action. Let us keep your Apple Macbook, MacBook Pro or iMac in tip-top condition and performance. We offer complete service for your Mac. From Lcd screen replacement to motherboard repair. Upgrade to an SSD or boost up your RAM and watch your Mac fly. Your hard drive will eventually fail and when it does hopefully you have a recent backup. If you don’t, like over 90% of computer users, we can help recover your laptop or desktop hard drive data. We can also recover deleted pictures, documents and other data. Linux is the best operating system to surf the web on a computer. It makes you virtually invisible to Viruses and Malware. They simply cannot install on your computer. 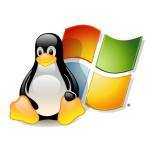 We can add Linux to your computer so you have the best of both worlds Windows and Linux.